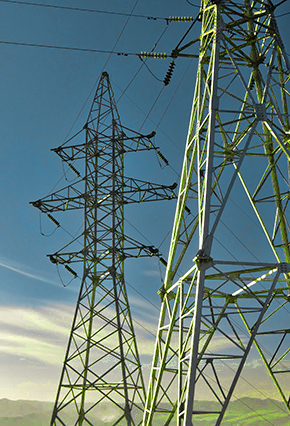 NERC Releases RAI Documents on Inherent Risk Assessment, Internal Control Evaluation - October 10 - NERC posted two new guidance documents for its Reliability Assurance Initiative. The Inherent Risk Assessment guide provides a framework for NERC and the regional entities to evaluate risk factors for registered entities. The Internal Control Evaluation guide instructs compliance enforcement authorities on how to evaluate and strengthen internal controls from registered entities. NERC Responds to Complaints Regarding Split of Wisconsin Electric Power Company's ("WEPCo") Balancing Authority ("BA") Footprint Into Two BAs - October 9 - In two separate FERC dockets, NERC submitted responses to a complaint filed by the Michigan Public Service Commission ("MPSC") and a complaint filed by the Tilden Mining Company L.C. and Empire Iron Mining Partnership ("Mines") regarding NERC's approval of WEPCo's proposal to establish a new BA by splitting its existing WEC BA into the Michigan Upper Peninsula ("MIUP") BA and the WEC BA. In its answer to the MPSC complaint, NERC argued that MPSC mischaracterized its approval process and, therefore, is requesting an improper form of relief. NERC submitted a motion to intervene and comments in response to the Mines' complaint. There, NERC also argued that the Mines mischaracterize the action taken by NERC and note that it is not NERC's responsibility to "approve" a proposal to split an existing BA into two, separate BAs. NERC Status Report on Revisions to TOP/IRO Standards - October 1 - NERC submitted its third quarterly report regarding NERC revisions to the TOP and IRO standards. NERC is making the revisions in response to FERC reliability concerns raised in a FERC Notice of Proposed Rulemaking. The status report notes that the standards drafting team has proposed revised standards, definitions, and a related implementation plan, and balloting is underway. NERC Report on Lessons Learned from Polar Vortex – October 1 - NERC submitted an informational filing to FERC that reviews last winter's Polar Vortex outages. The report was developed following a meeting convened by FERC Commissioner Moeller to discuss ideas for improving natural gas trading. In the report, NERC notes that although only one Balancing Authority was required to shed firm load as a result of the Vortex, generators experienced more than 10,000 MW of unintended outages during the 4-day period in early January due to a combination of factors including insufficient natural gas supplies and inadequate weatherization of generating facilities in the southern U.S. The Report makes several recommendations for mitigating the risk of future cold-weather outages, most of which involve better resource and fuel adequacy planning, stockpiling of winter fuel, and weatherizing generators so they can withstand colder temperatures. NERC Annual Report on Use of Technical Feasibility Exceptions - September 30 – NERC submitted its 2014 Annual Report on Wide-Area Analysis of Technical Feasibility Exceptions (TFEs), as required by FERC Order No. 706, which directed NERC to submit an annual analysis of the use of TFEs for certain CIP reliability standards, and their effects on BES reliability. NIST Updates Smart Grid Framework - October 1 - The National Institute of Standards and Technology released version 3.0 of its Smart Grid Framework. The framework updates version 2.0, released in February 2012, by addressing subsequent developments in synchrophasor deployment, adding standards to support interoperability, and expanding cybersecurity measures to include recent executive orders and developments in critical infrastructure regulation. SPP Calls for "Reliability Safety Valve" in EPA Proposed Rule for Existing Power Plants - October 9 - In comments filed on EPA's proposed rule to regulate carbon dioxide emissions from existing power plants, SPP recommends that EPA adopt a "reliability safety valve" to avoid "widespread reliability risks" that SPP predicts will occur if the rule is implemented as proposed. The proposed rule, which was released in June 2014, would require states to develop implementation plans to reduce emissions from large fossil-fueled generating units. States are expected to employ a range of measures, including heat rate improvements at coal-fired units, increased generation from natural gas, and additional renewable energy and end-use energy efficiency. New power plants are not subject to the rule. According to SPP's analysis, expected retirements of coal-fired generation in the region could lead to "extreme reactive deficiencies . . . that would expose [SPP] to widespread reliability risks resulting in significant loss of load and violations of NERC reliability standards" unless additional transmission and generation infrastructure is built. In addition to recommending a "reliability safety valve" (which was earlier proposed by the ISO/RTO Council), SPP urges EPA to extend the compliance deadline by at least five years, and proposes that EPA and FERC convene a series of technical conferences to discuss the reliability impacts of the proposed rule. Comments on the proposed EPA rule are due December 1, 2014. WECC Releases White Paper on Reliability Challenges - October 2 - WECC released a white paper outlining major challenges anticipated over the next three to five years. Areas identified include resource and load issues (such as a changing resource mix and plant retirements), variable generation challenges, operational challenges, security challenges, policy and regulatory concerns (including EPA regulations), and human performance challenges. Comments to reliabilitychallenge@wecc.biz are due by October 31. ReliabilityFirst Publishes Report on Reliability Assurance Initiative ("RAI") Pilot Work - October 9 - ReliabilityFirst publishes a report summarizing its pilot work in response to NERC's RAI. The report notes that the pilot work was a significant success by generating lessons learned that will aid in the further development of the RAI. ReliabilityFirst's pilot work focuses on three core areas of the company's compliance program, including: evaluation of management practices, compliance monitoring, and enforcement discretion. The report highlights 18 lessons learned that will assist NERC in its future development and refinement of the RAI. Peak Reliability Posts New Version of 2015 Draft Strategic Plan - October 7 - Peak Reliability posted Version 3 of its 2015 Draft Strategic Plan. Peak Reliability will take comments on the draft until October 28, and will add a set of draft 2015 Corporate Objectives to the next version of the Strategic Plan, which will be the final version. New Membership and Services Agreement for Peak Reliability and BC Hydro - October 9 - Peak Reliability ("Peak") and BC Hydro and Power Authority ("BC Hydro") executed a new Membership and Services Agreement, which provides that BC Hydro's balancing authority area will remain part of the Peak RC Area in the Western Interconnection. Under the new agreement, BC Hydro agreed to pay 50 percent of its 2014 assessment and will pay its full assessment in subsequent years. As noted in the October 2nd issue of this Electric Reliability Update, FERC recently authorized a special assessment from WECC members to fund Peak's operations for 2014. As a result, BC Hydro's agreement to fund at least a portion of its 2014 assessment will impact Peak's future budget approval requests before FERC.